OK 9 Stinking Creek, Kiowa Co. 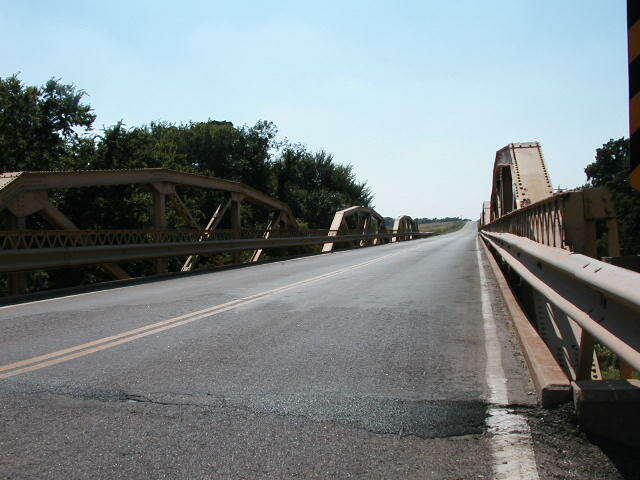 Built in 1931, this triple 80-foot Parker pony truss bridge is about 7 miles east of Mountain View in scenic Kiowa Co.
Below, a view looking west. 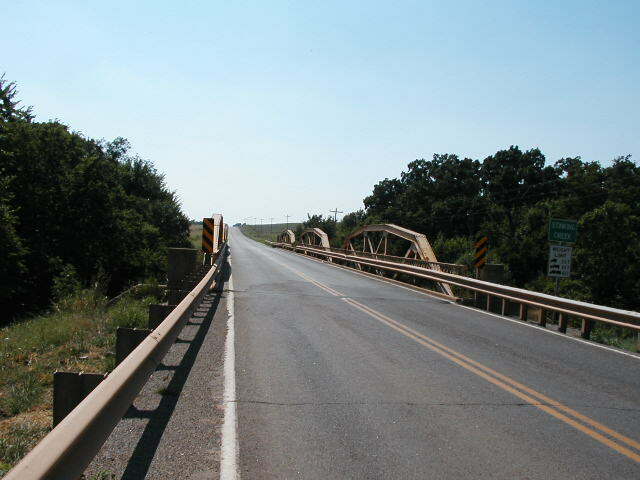 Note the wing posts and lattice-type safety railing, features of many of the older style bridges. 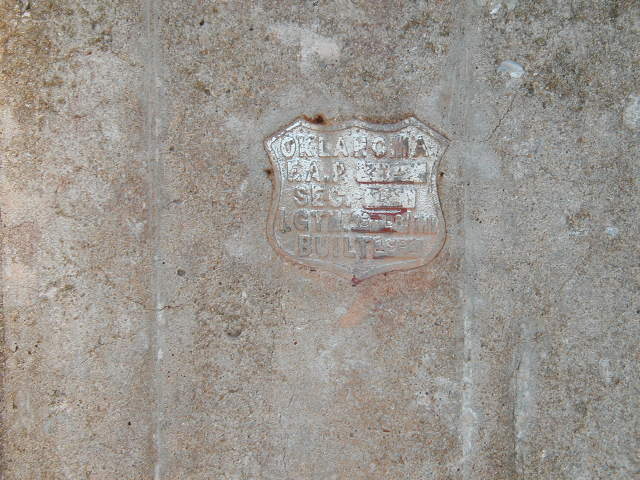 A shield-shaped plaque on the wing post identifies this bridge's Federal Aid Project number, section, length and year. Unfortunately, the stamped markings are barely readable. Below, a close view from the deck. Below, a view along the side. For its age, this bridge is really in excellent condition. 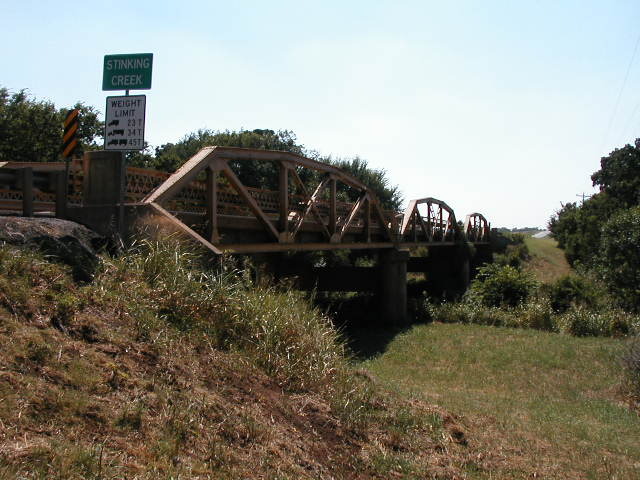 The State-engineer designed Parker Pony truss has been one of the state's best bridge design, capable of years of service with little trouble. The concrete work on this bridge was also surprisingly in very good condition, much better than that on many.